Our current staff of over 40 professionals serve approximately 150 patients throughout the region each month. Led by our team of RNs and LVNs, consisting of more than 450 years of combined nursing experience, along with our Home Health Aides, Stephen's Health Care provides exceptional health care and serves as the "Eyes and Ears" for the physician of the homebound patient. 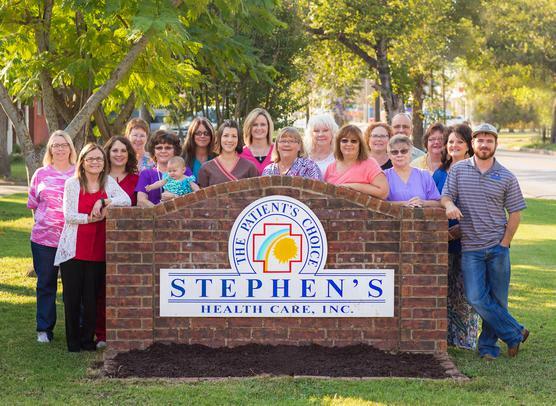 Family owned and operated, Stephen's Health Care was founded in 1991 by Neal and Ann Stephen, RN. Our company began with a caring nursing team who wanted to help people recuperate at home after surgery or major illness. Over the years, doctors’ referrals and word of mouth have lead us to hire and train a range of healthcare experts to meet our patients needs.